Sims should reach this goal. Here’s to hoping he gets lots of extra wiggle room too! Known for producing 4,000-yard passers and 1,000-yard receivers on a yearly basis, Dana Holgorsen will have neither once West Virginia wraps up its regular season early Saturday even against Iowa State. 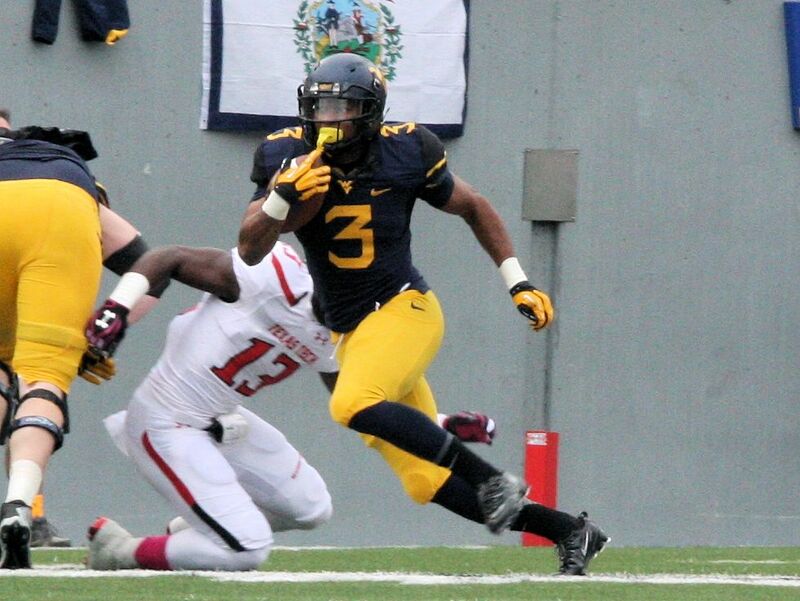 But the Mountaineers (4-7) can produce their first 1,000-yard rusher since 2009 if senior Charles Sims can get at least 54 yards on the ground against the Cyclones tomorrow evening. For a WVU offense that was once built on developing 1,000-yard rushers, that is something the coaching staff can hang its hat on when all of them hit the recruiting trail a little earlier than usual in December. For running backs coach JaJaun Seider, having Sims exceed the magic 1,000-mark would be a great accomplishment for the senior.